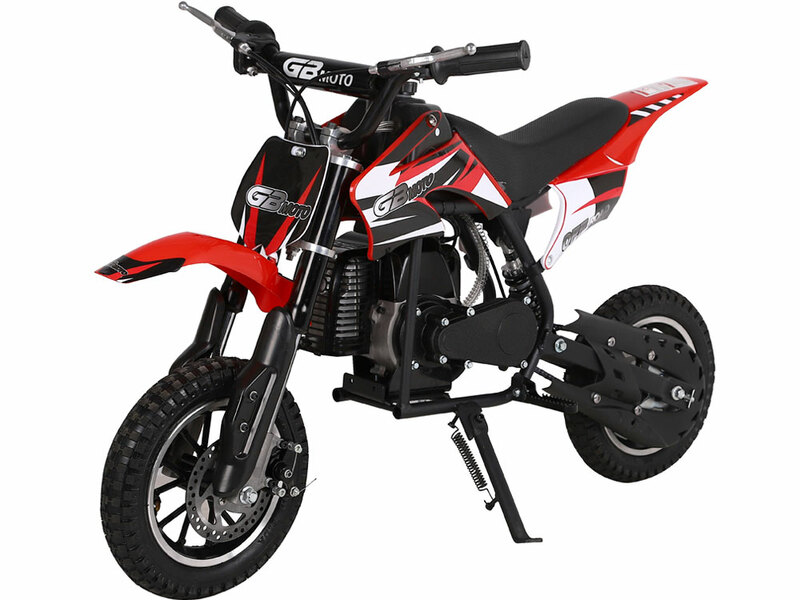 The MotoTec 49cc Dirt Bike is the ultimate beginner bike! Great for driveway and parking lot fun, cruise around cones and speed through trails with ease. Comes standard with front & rear disc brakes and large 12 inch pneumatic dirt tires.